Enjoy a new twist on a classic toy! 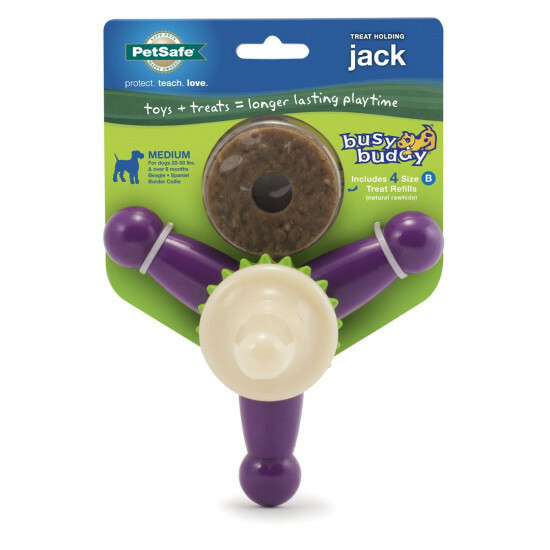 The Jack is a challenging, durable, refillable treat holding toy. 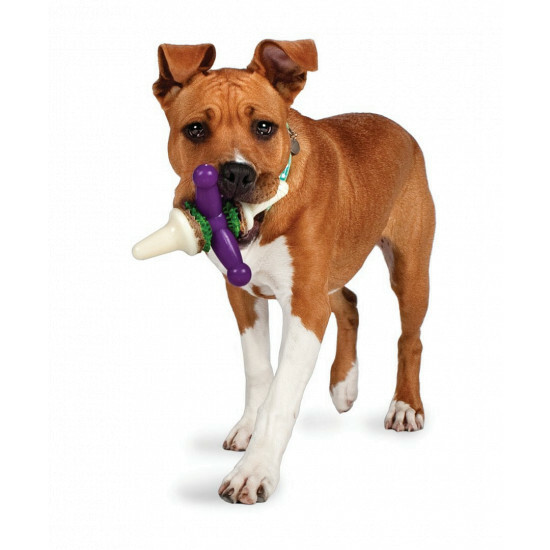 The durable nylon and rubber Jack holds Busy Buddy natural rawhide treat ring refills for longer lasting playtime. Watch your dog chew, bite, and twist the Jack to figure out how to get the delicious treats in the middle. Treat rings can be placed in multiple locations to increase the challenge over time. For starters: Unscrew the Jack and slip off all pieces except for the last green nub ring. Slide on a rawhide or dental ring onto either side of the purple center knobs. Slide on the other green nub ring. Screw the white tip back onto the toy to reassemble the Jack. For more of a challenge: Unscrew the Jack and slip off all pieces. Slide on a ring and replace the following pieces in order: green nub ring, purple center knobs, green nub ring. Slide on another ring. Screw the white tip back onto the toy to reassemble the Jack.